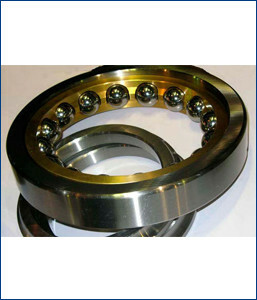 We are offering our clients a qualitative range of Four Point Contact Bearings. This range is capable of accommodating various kinds of loads in both directions. In addition to this, offered bearings are available in various designs, sizes and other specifications as per the clients’ requirements. Four point contact bearings are single row angular contact ball bearings and therefore require significantly less space in an axial direction than double rowdesigns. The bearings comprise solid outer rings, split inner rings and ball and cage assemblies with brass or polyamide cages.